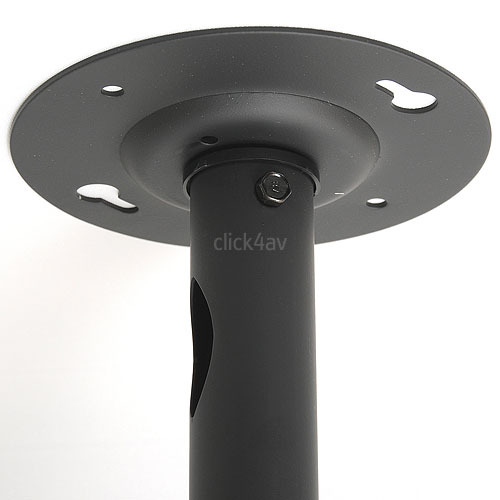 This popular TV ceiling mount offers swivel and tilt function plus an adjustable length pole, making it perfect for flat panel television and commercial CCTV monitor installations. 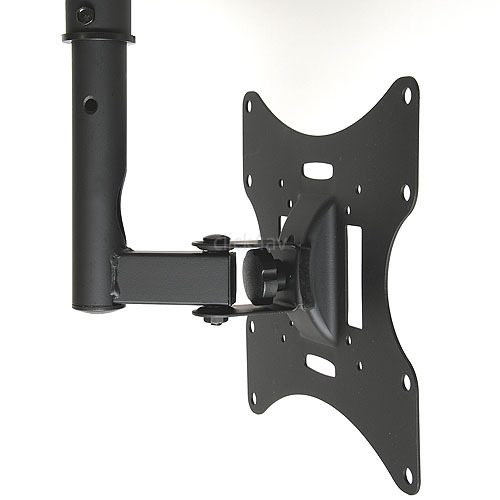 It fits many 23 to 42 inch LCD and LED flat panels. 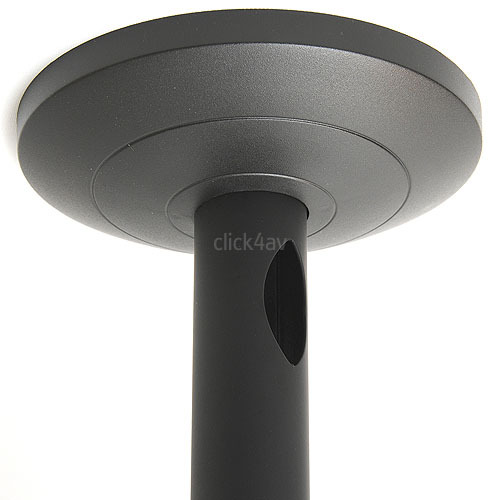 It offers 180 degrees swivel from left to right and 20 degrees tilt up or down. 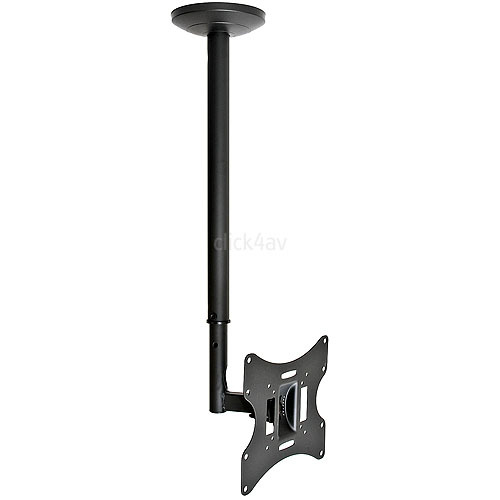 The heavy steel pole is adjustable in length from 62.5cm to 87.5cm. 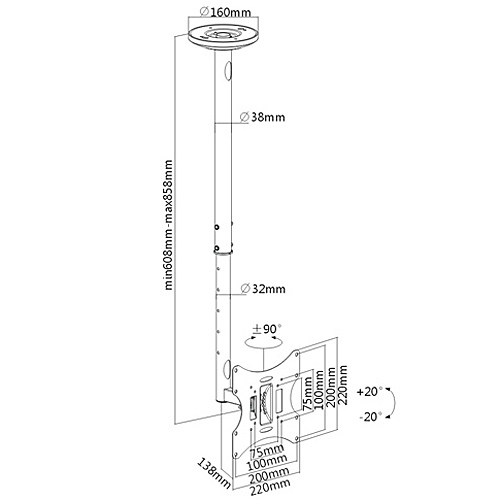 Cables may be threaded through the centre of the tube (internal diameter 30mm). 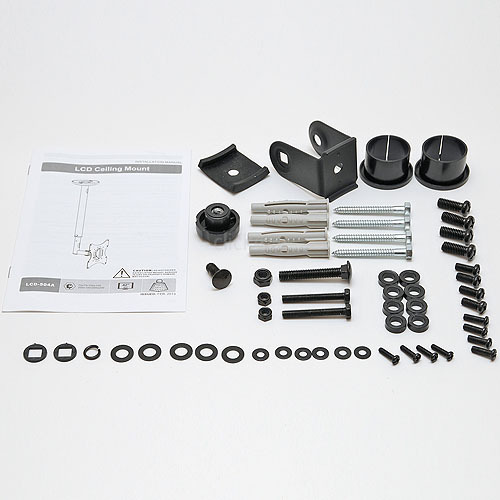 Supplied with ceiling fixing kit and bolts to attach your TV. Fits most TV's from 23 to 42 inch. 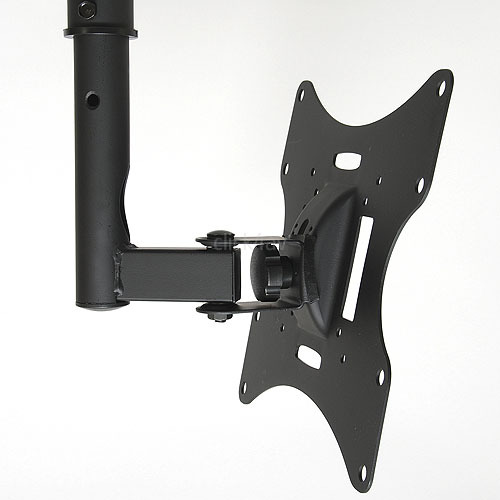 To check compatibility with your TV please measure the spacing of the four fixing points on the back of your TV. The hole centres should match one of the following dimensions: 75mm x 75mm, 100mm x 100mm, 200mm x 100mm or 200mm x 200mm.